Being that we just finished breast cancer awareness month, I wanted to share this. As many of you know, my wife Amanda had a scary battle with a very aggressive Triple Negative Breast Cancer. She fought hard and I am proud to say that she is one year cancer free. We had amazing doctors, family and friends throughout the journey. Our two-year-old daughter and three-year-old son kept her going through the toughest of times. 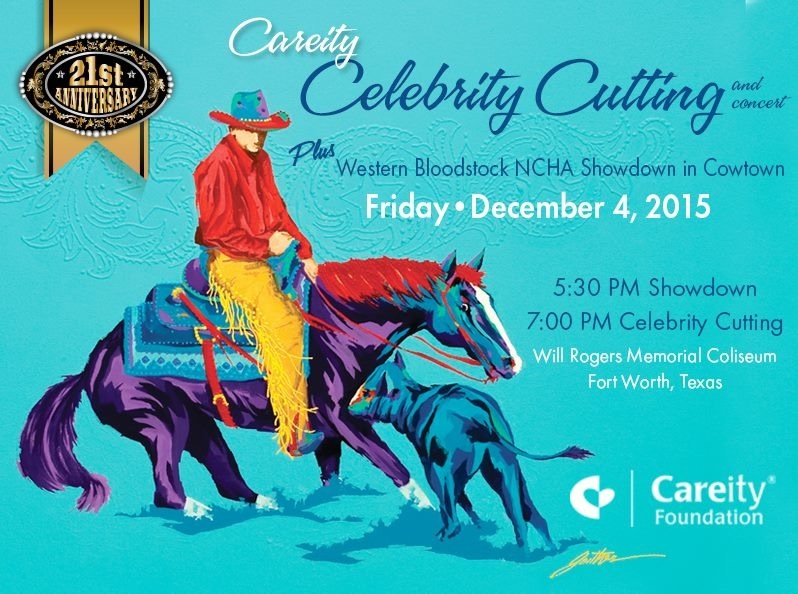 As far as the day in and day out battle against cancer, it was fought one hoof beat at a time with the human’s most trusted partner—the horse. 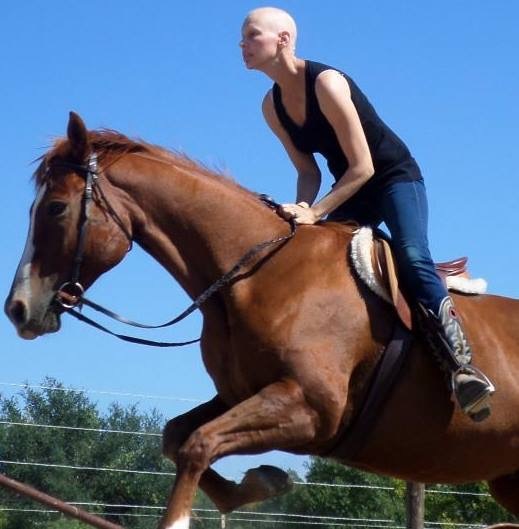 Amanda was determined to ride every day if possible during the six months of her chemo treatments. She made it her mission no matter how sick or down she was to get on the back of a horse. 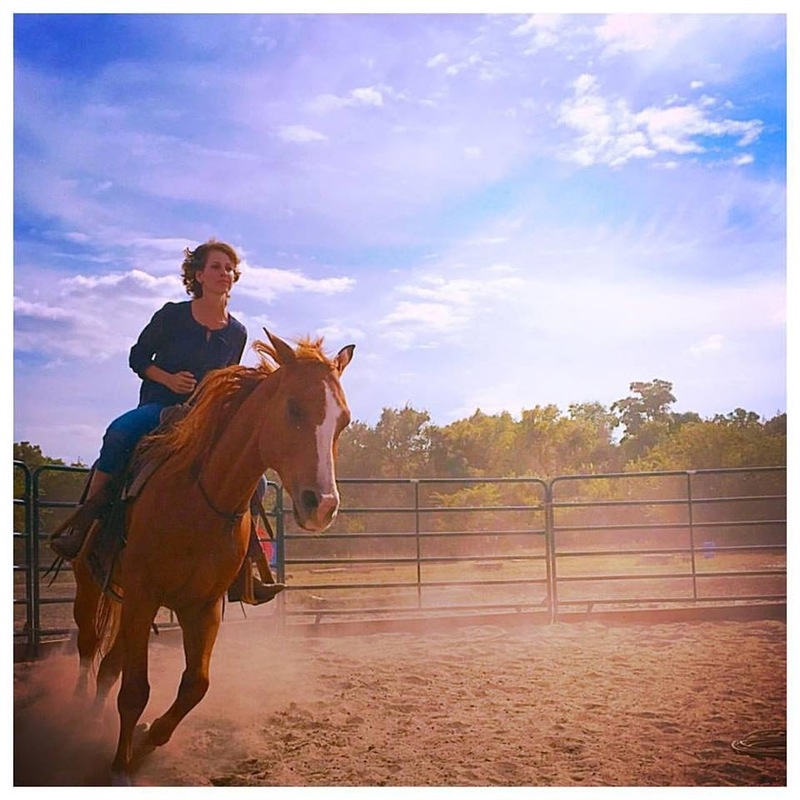 Amanda has always had a deep connection with horses, but this was different. The horses gave her a disconnect from the realities of our situation. I believe the gift they gave her was forcing her to be in the moment. You can’t truly connect with horses unless you live in the moment. Amanda also wasn’t riding your run- -of-the-mill horses. She was riding colts and problem horses we had in training, the kind of horses you have to have a full sense of awareness on at all times. What I saw was amazing because when Amanda was riding, she no longer worried about the future. She just “rode”. She rode every footfall, muscle and breath of the horse. For that 30 minutes to an hour everyday she became one with the horse and let them take her to a place that no doctors, myself or anyone else could. It was a sanctuary for serenity. When you go through something like a battle with cancer, you don’t know what the outcome will be. You look for any reality to grasp onto and for Amanda it was riding horses. I watched everyday as the horses gave Amanda something to look forward to. They gave her strength when she was weak and they inspired her for better days. I single-handedly watched these horses heal my wife’s soul. We all know how important it is to be positive in times of hardship and the horses gave her that confidence in herself to keep fighting and live in the moment. I think often how we as the human just expect horses to do what we want 24 hours a day no matter the weather, situation or time. I am here to suggest that we take a step back from time to time and appreciate the gift God has given us in the horse. And I ask you to spend a few more minutes just rubbing on them, going a little slower and giving them the benefit of the doubt. This is the horse that the world fought wars on, discovered new lands, plowed our fields, and still today can help heal our loved ones. I would be hard pressed to say that man wasn’t given a finer gift than the horse.